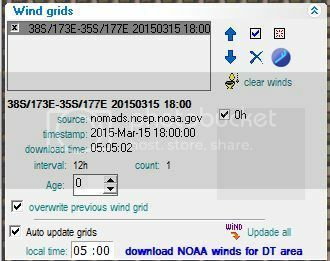 My wind strength is alwways out by one or two knots but the direction is correct. 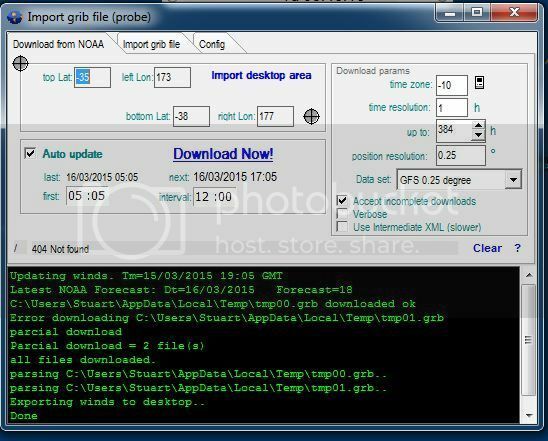 I download the new forecast in VRTool automatically at 5.05am, however its timestamp is 1800, so is 11 hours old??? Also the forecast only comes in for 12 hours, not 384 as selected.